Thomas reflects: “I have always been attracted to history and to objects linked with it. 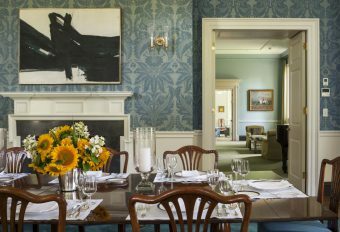 I find their connections and evolution fascinating.” The emphasis in his work has always been to discover relationships and associations that add texture, richness, and depth; the elements that give a room its spirit and character. 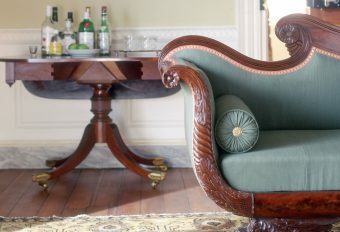 While this is the cornerstone of his philosophy, it is filtered through a clear-eyed view of present-day expectations: “I like old things, but I want them to look fresh – and that often comes from looking again at the old source and rethinking it in color, shape, and juxtaposition.” In practice, this means translating engaging ideas into tailored, comfortable houses or apartments that suit the current needs of the client, whether they be young families or advanced collectors. 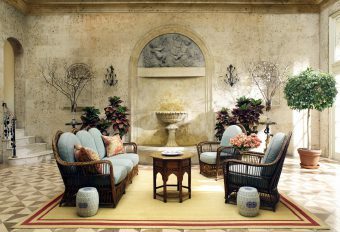 Hence, the credo of the Jayne Design Studio–Decoration: Ancient and Modern. 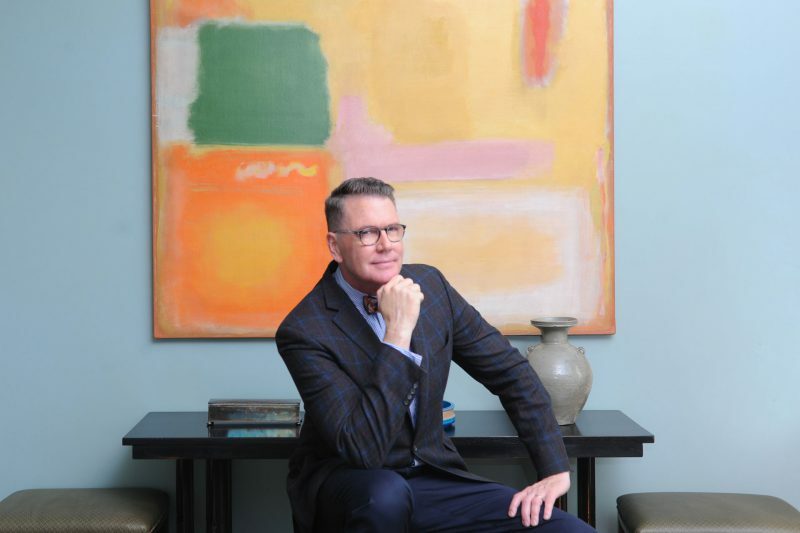 In addition to his international practice, Thomas Jayne is a noted author, writing on historical themes in architecture and decoration. 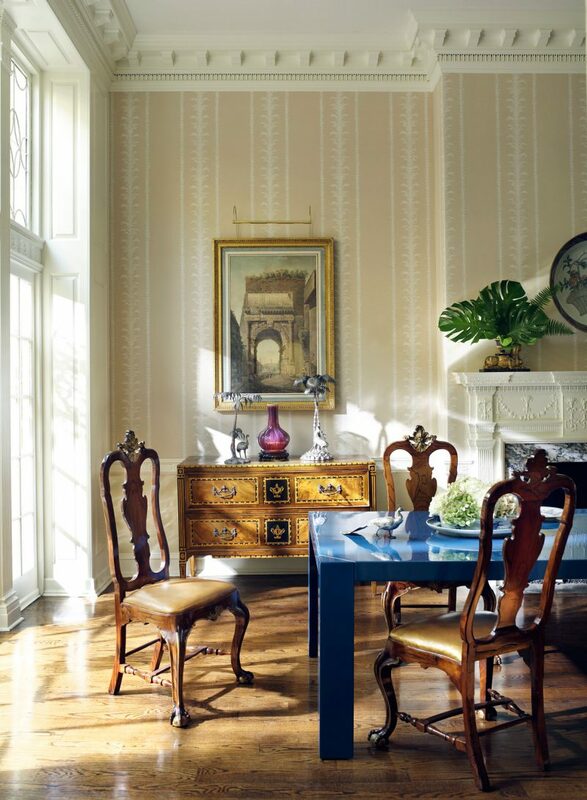 Three books published with Monacelli Press, The Finest Rooms in America (2010), American Decoration (2012) and Classical Principles for Modern Design: Lessons from Edith Wharton and Ogden Codman’s The Decoration of Houses (2018) have been highly acclaimed. 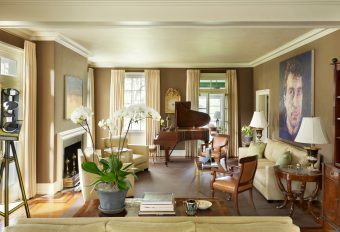 Jayne Design Studio is featured on Architectural Digest’s current AD100 list of leading American decorators and architects and Elle Decor’s A-List of top American decorators. 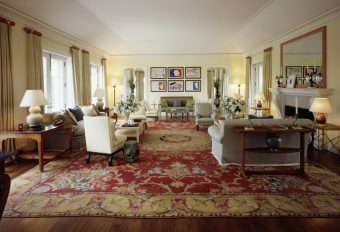 In 2013, Thomas Jayne received the Institute of Classical Architecture and Art’s Arthur Ross Award for Interior Decoration, the first interior designer to be honored in this category by the ICAA; in 2014, he received the ICAA’s Stanford White Award for his interior decoration of Drumlin Hall in Dutchess County, New York and again in 2016 for the historical preservation of the interiors of Crichel House in Dorset, England. 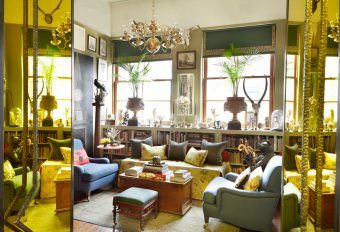 Thomas Jayne and husband Richmond Ellis divide their time between their SoHo loft in New York (housing a major collection of American culinary books spanning 200 years) and a townhouse in the French Quarter of New Orleans. 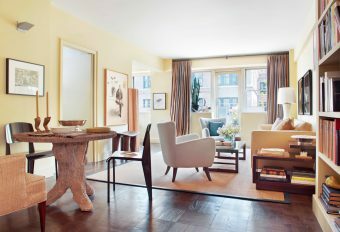 Since 1990 Architectural Digest has been naming the world’s preeminent architects and designers to a select group known as the AD100. An arbiter of excellence, this exclusive list recognizes establishment icons and enterprising trailblazers whose work is as inspiring as it is influential. Jayne Design Studio has been honored to be on the list since 2012. 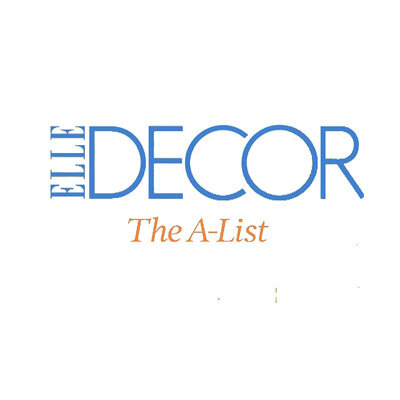 ELLE DECOR’s A-LIST is the magazine’s salute to the country’s top talents-designers who continue to excite, inspire, and intrigue. Jayne Design Studio has been honored to be on this list since 2013. 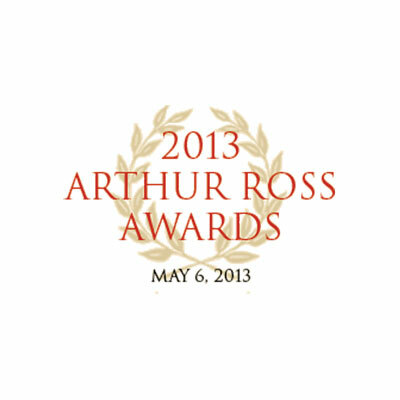 Established in 1982 by Arthur Ross (1910–2007), and Henry Hope Reed (1916–2013), the Arthur Ross Awards were created to recognize and celebrate excellence in the classical tradition. 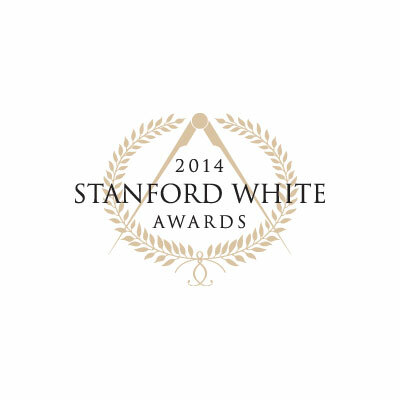 The awards have recognized the achievements of architects, artisans and others dedicated to preserving and advancing the classical tradition. 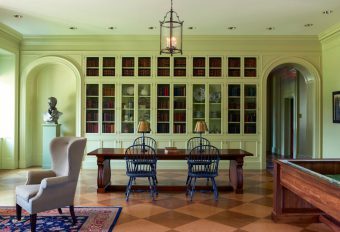 Jayne Design Studio received the 2014 Stanford White Award in the field of Interior Design and Decoration - Residential for Drumlin Hall, a new classical house in the Hudson River Valley area of New York designed by Peter Pennoyer Architects. Named in honor of Architect Stanford White (1853-1906), of the distinguished New York firm McKim, Mead & White, the Stanford White Award recognizes achievement in architecture, interiors, landscape, urbanism, and building craftsmanship & artisanship throughout New York, New Jersey, and Fairfield County, Connecticut. 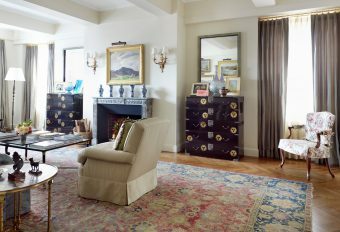 The award is given by the New York chapter of the Institute of Classical Architecture and Arts. 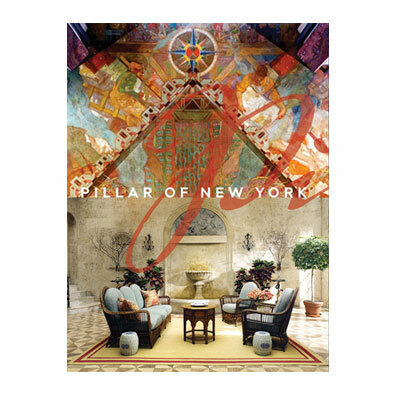 Since 1992 the Preservation League has presented its Pillar of New York Award to individuals and organizations whose work in the field of historic preservation makes them role models for others throughout the state and nation. 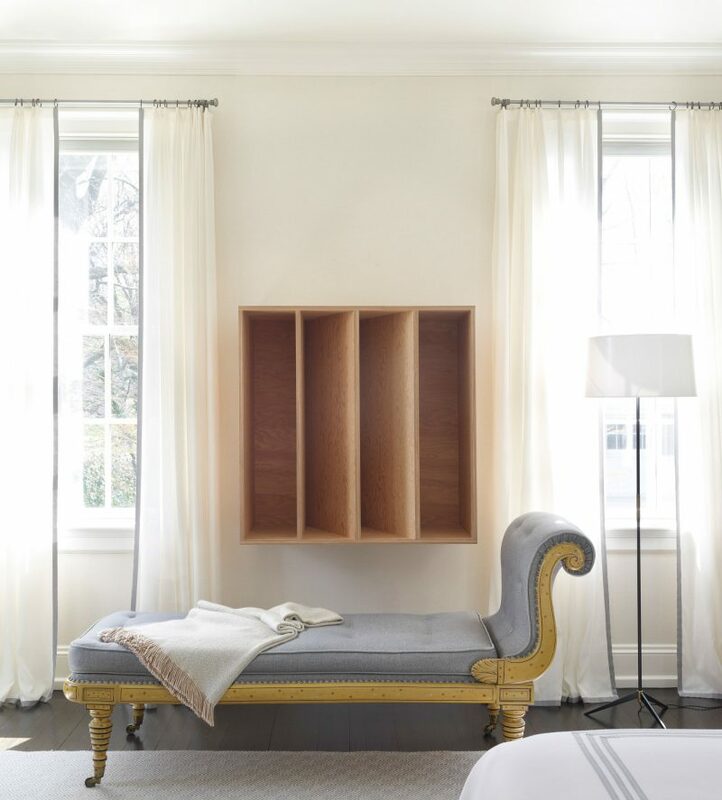 The Studio was honored for being one of the foremost practitioners of traditional design, creating rooms that possesses a sense of history and place but also speak to contemporary tastes and comforts. 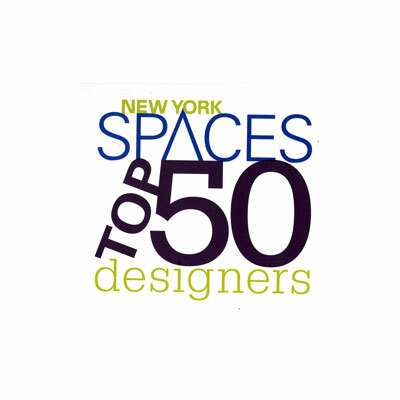 New York Spaces Top 50 is the list of "Names You Need To Know In Metro New York Design." 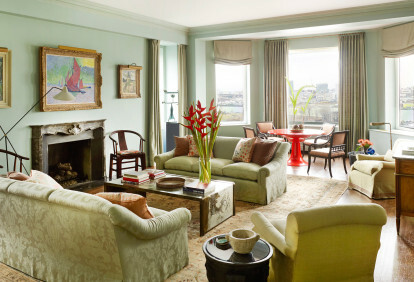 As described on their site, it is a list of "the best architects, designers, and decorators bring color, form, comfort, and delight to the environments we inhabit—influencing the way we experience our world, our homes, and, ultimately, our lives". 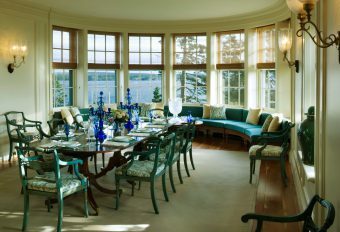 Jayne Design Studio has been honored on the list since 2009.